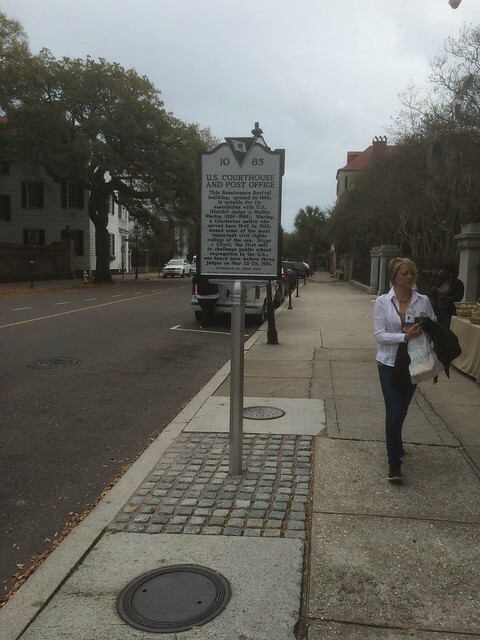 This marker is located at 83 Broad Street, Charleston, South Carolina. The GPS coordinates for this location are N 32° 46.574 W 079° 55.864. 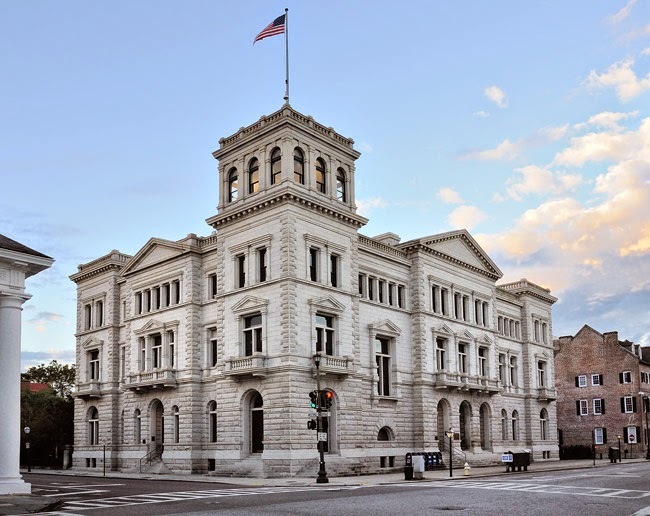 This Renaissance Revival building, opened in 1896, is notable for its association with U.S. District Judge J. Waties Waring (1880-1968). 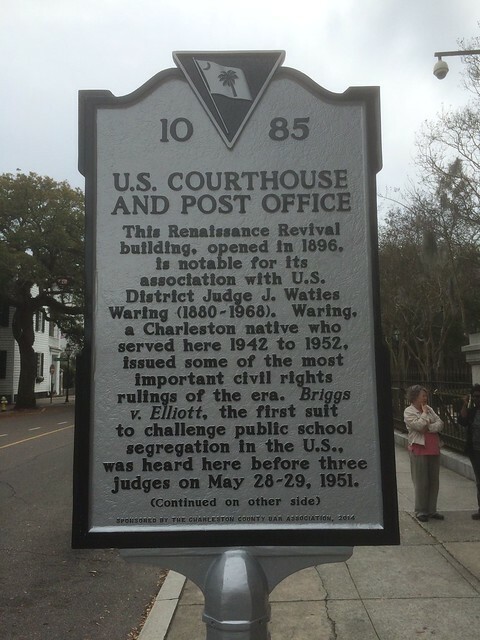 Waring, a Charleston native who served here 1942 to 1952, issued some of the most important civil rights rulings of the era. Briggs v. Elliott, the first suit to challenge public school segregation in the U.S., was heard here before three judges on May 28-29, 1951. 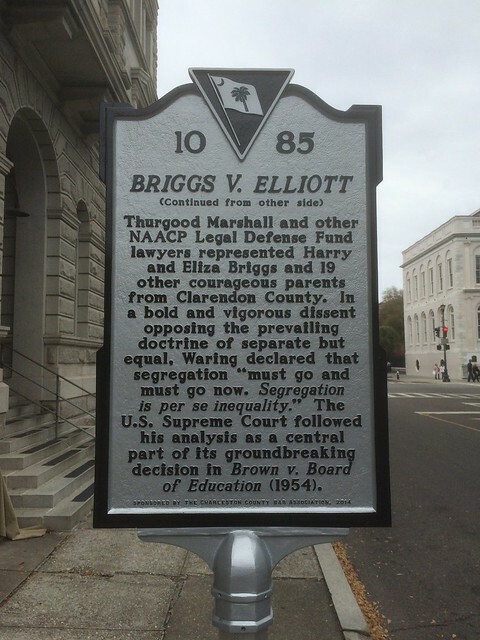 Thurgood Marshall and other NAACP Legal Defense Fund lawyers represented Harry and Eliza Briggs and 19 other courageous parents from Clarendon County. In a bold and vigorous dissent opposing the prevailing doctrine of separate but equal, Waring declared that segregation “must go and must go now. Segregation is per se inequality.” The U.S. Supreme Court followed his analysis as a central part of its groundbreaking decision in Brown v. Board of Education (1954).